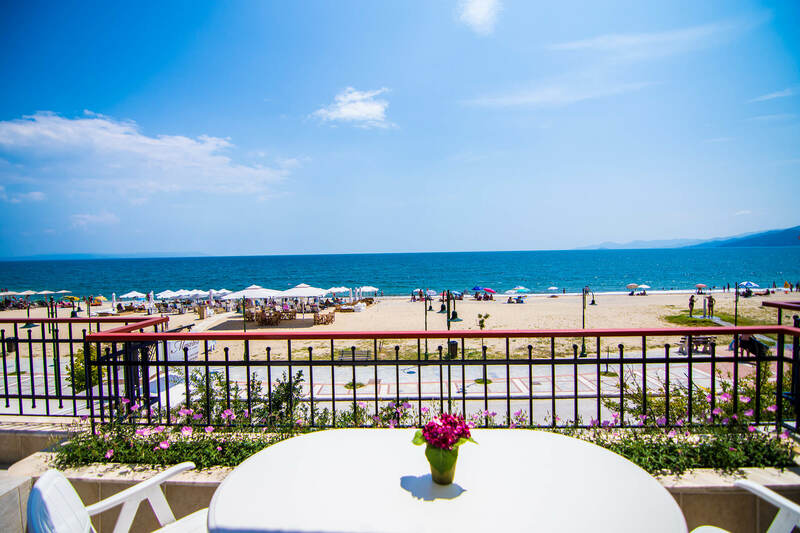 Zoe’ s Apartment on the Beach, is located in front of the beach and it is onto the pedestrian zone of ​​Nea Vrasna, on the border with Asprovalta. It offers excellent sea view, giving you the feeling that you are traveling by boat. It consists of one bedroom with two single beds, a living room with 2 sofa beds and an equipped kitchen with oven and family fridge. It also has a bathroom with shower / wc and a second balcony with mountain view. On request we can provide you with 1-2 single beds. Enjoy your breakfast or relax during the afternoon on our balcony either surfing the web or reading a book, Either just relax with your loved ones. In Zoe’s Apartment on the Beach, you will feel like at home.